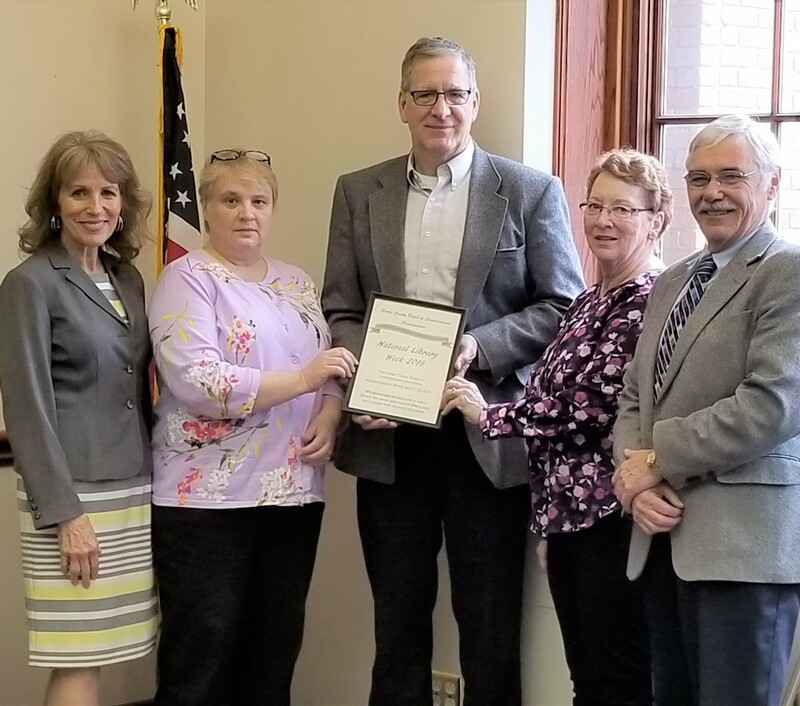 Representatives from two local libraries attended this week’s meeting of the Potter County Board of Commissioners to share details on their expanded services as part of National Library Week, which continues through April 13. Teri McDowell (Coudersport) and Shelley Jones (Genesee) discussed the growing importance of libraries in literacy, education, youth development and other services. Their libraries are among those that offer free internet access, which has allowed those with no other means of connecting to tap into the web. Both of the library representatives expressed their appreciation the commissioners for mini-grants they’ve received from the county to help pay for programming geared toward youth programs and other special services not covered in their operating budgets. Shown from left are Commissioner Susan Kefover, Teri McDowell, Commissioner Paul Heimel, Shelley Jones and Commissioner Doug Morley.